Decorator Margaret Garner filled this French Provincial home with antiques found on her trips to France over the course of the last decade. While the home is new, built by John Blevin in 2008, many of the architectural details and furniture were reclaimed from the French countryside. The house is a masterful combination of old and new, full of interesting furnishings and architectural antiques customized for the space. The entry to the home is flanked with Paris streetlights. The large living room features an antique fireplace, mirror and ceiling plasters, all items from a French château. The French doors in the living room and throughout the house are reclaimed from Provence and are mahogany with antique hardware. The dry garden is off the living room, and features antique French pots and new aluminum railing made to resemble the old iron work used throughout Europe. The kitchen features black granite and modern appliances, but the appliances are behind cabinets reclaimed from Provence. The woodwork over the stove-top was once a transom into a French château and was modified for the space by master cabinet maker Michael Godwin, who did all the custom woodwork in the home. The family room, loggia and study are all just off the kitchen and contain countless interesting antiques, including ceiling beams from an old barn, lamps made from French balusters, a fireplace imported from Provence, and a clock modeled on those used in Paris train stations. The master bedroom contains architectural relics from a church set against the backdrop of chocolate walls. The master bath illustrates the French tradition of furniture in the bath and introduces the concept of a gentleman’s sink hidden by doors reclaimed from an old hotel. The upstairs portion of the home has lights from the Paris flea market and features two bedrooms and a landing full of interesting antiques and architectural details. There is much to see in this house and you will enjoy the innovative use of cherished relics in a new custom home. Directions: From the intersection of Sea Island Road and Demere Road, head south on Sea Island Road. Turn left as Sea Island Road dead-ends into Kings Way and proceed east on Kings Way. Turn left into the third entrance for the Island Club onto St. Andrews. Andrews. Biltmore is the first street to the left after the Stop sign at Merion and St. Andrews. House is on right at 125 Biltmore. 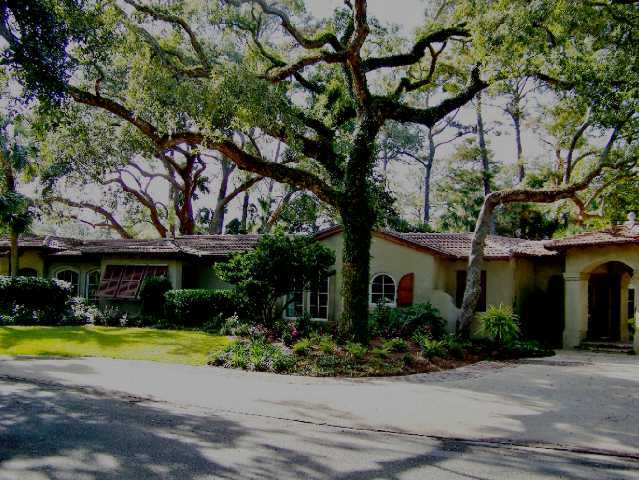 A step away from both the St. Simons Island Village and the ocean, this home is a modern adaptation of the cottage style with influences from the sea. Interior designer Valarie Zeh used a nautical inspiration that is sophisticated and fresh. The walls throughout the living areas are made of white horizontal planks that are ship-lapped in three and ten inch widths. The flooring is vintage French oak and is finished in a style made to look natural. Much of the lighting is custom-made of antique fixtures reclaimed from ships and the railings are of hemp or wrought-iron fashioned to resemble the railings on a yacht. The home was designed for both relaxation and entertaining. The master bedroom has a planed ceiling of one hundred year-old oak, an exaggerated upholstered headboard, and a bath with spring marble and Belgium bluestone. The girl’s bedroom has a retro-Hollywood feel and features a silver metallic leather chair, a Venetian floor mirror and a bath with Italian silver metallic and glace ice-stick tiles. The boy’s room has a more masculine feel and features a ceiling of weathered cypress, an upholstered headboard, and a bath with glass tile, honed quartzite counters, and crosscut oak cabinetry. The drapery hardware in the guest master is made of oyster sticks, and the room has a shell chandelier and a cypress ceiling laid on the diagonal. The guest bath has ocean blue travertine marble on the floor and elongated octagon tile. The kitchen and dining room are the primary indoor entertainment spaces. The kitchen walls are of subway tile cut in a hearing bone pattern. The ceiling in the kitchen is of cypress inlaid between white beams. The cabinets are white and the island is of antique French oak, topped with Irish bluestone. The dining room has an oak accent wall with built-in cabinets and a drum chandelier. There is as much entertaining space outside as there is inside. Each of the four bedrooms has its own balcony, and there is a front porch, a cook’s porch and a roof-top bar. Teak furniture graces all the porches and the upholstery colors are inspired by the sea. The roof-top bar is built around the bow of a ship, with a kitchen, vintage lighting, antique port holes, and yacht-inspired details. Directions: Take Kings Way south towards the St. Simons Village. Turn right on Fairway. Turn right on Butler. Turn left on Frazier. House is on the left at 106 Frazier Street. Rarely open to the public, Musgrove plantation is a twentieth century retreat built over several years beginning in 1937 by the historically noted architectural firm of Abreu and Robeson, and is still owned by the family of the original owner. 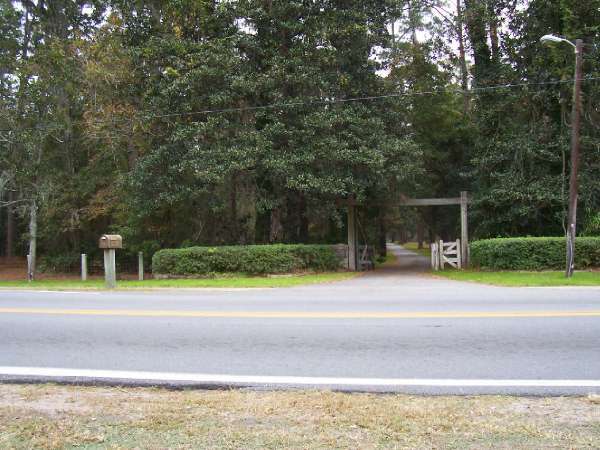 It consists of more than eleven hundred and fifty acres of high ground and protected marsh along beautiful Village Creek, on the east side of St. Simons Island. The plantation consists of many cabins used as residences by members of the family and their guests. You also will see the Grove House, the primary gathering place for meals and relaxation. Typical of all Musgrove buildings, the Grove House is finely crafted with giant cypress ceiling beams and a wall of windows looking out over the river beyond. As you leave, you will walk through extensive, beautifully landscaped gardens. 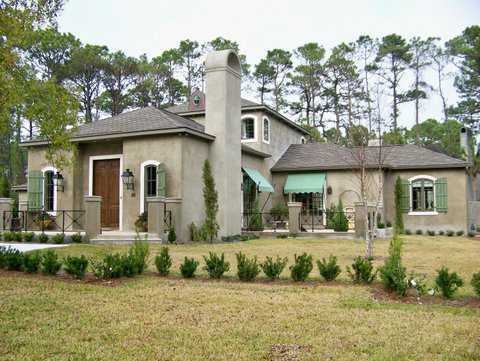 Eight wooded acres on the marsh is the site of this new home built in the Mediterranean style and filled with antiques from around the world. The home was designed by architects Thad Truett and Keith Summerour, built by E. G. Pope, Inc. and decorated by Lisa Torbett Interiors. Landscape design and installation are by Alex Smith of Atlanta. The homeowners traveled to Morocco to gather both inspiration and materials, and the result is an exquisite home built with attention to fine detail. You will enter the home through a courtyard and a foyer built to resemble a Spanish conservatory. The foyer features a groin-vaulted ceiling and is lined with glass doors with metal frames. A temple drum from Java sits on a black console table over which hangs a painting done by artist Helen Means of Atlanta. The foyer is flanked front and back with courtyards. 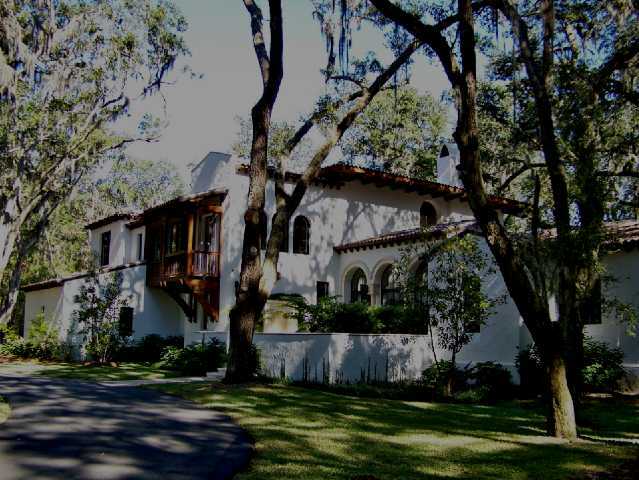 The arches in both courtyards are of a Moorish design and frame views of the many live oaks and marsh. The homeowners brought the stone pavers in both courtyards back from Morocco and used stone flooring imported from Turkey throughout the interior of the home. A powder room and the master suite are off one side of the foyer. The fabric in the power room is a Scalamandre design and the chandelier is another memento the owners purchased in Morocco. The entrance to the master suite features a 19th century French commode imported from Argentina with a chinnoiserie mirror above. The master bedroom ceiling is coved, an 18th century Chinese altar table complements the poster bed. In the master bath, disappearing glass doors open the room to a private courtyard with a waterfall shower. The living room ceiling is of pine custom-fashioned in a Moorish style, and the room contains antique vases from Syria, an antique English chest of drawers and mirror, and a painting by the artist Jamali. The stairs lead up to the second level where you will find the viewing pavilion, inspired by a hotel in the medinah of Marrakesh. The furniture in the viewing pavilion was designed and made by the builder, and this outdoor room has fantastic views of the marsh. There are also two bedroom suites upstairs, one decorated in a typical southern-eclectic style and one with antiques from Indo-China. The kitchen and screen porch will be your final stops in the home, and they each contain collectibles gathered from all over the world. A collection of antique religious icons hang in a modern kitchen that features a large cherry island, burnished granite countertops, and an antique Barrister’s cabinet. The screen porch sconces are 19th century Italian and the comfortable room looks out across the backyard to the marsh. Directions: Take Frederica Road north towards the round-about with Lawrence Road. Travel north on Lawrence Road from the round-about. Turn right into Butler Plantation. House is on the right at 28 Carriage Drive. This rustic modern home has a comfortable and relaxed feel, so inviting after a long day at work. The home feels like a peaceful sanctuary and is filled with a mix of touchable textures set against a clean backdrop of crème plaster walls. Interior designer Valarie Zeh pulled together a casual, eclectic interior, perfectly designed for the family who needs a warm, cozy setting to relax and entertain. The walls throughout the main portion of the home are finished in a European multi-layered lime plaster. Much of the flooring is multi-chiseled limestone with a grid pattern of vintage maple. The living room features a Madagascar sisal weave rug, custom cabinets, and an antique oak credenza with hand carved inset panels. The lamps in the living room are made from old wooden wallpaper screens and the upholstered furniture is slip covered with a combination of down and Belgium linen. The living room looks out to the back porch and a beautiful view of the lake. 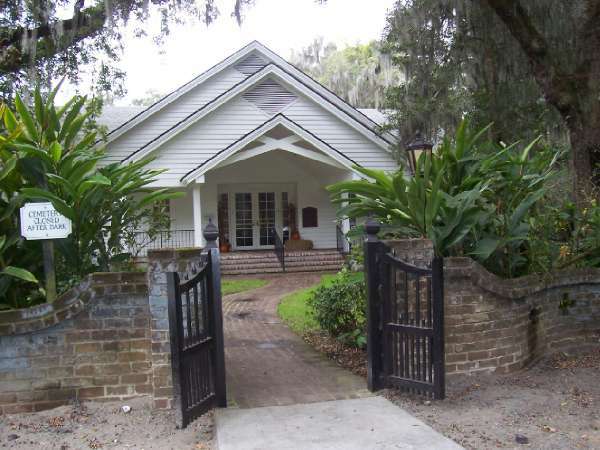 Don’t miss the alligator on the porch, originally owned by Steinway and used as his boot scraper. A reclaimed bleached teak dining table is featured in the dining room, along with custom-made wine cabinets of pecky cedar and a waxed oak and steel serving cart. The kitchen countertops are of Morsesco honed marble with a backsplash that combines tumbled and polished marble. The cabinets are walnut with an ebony inlay. An antique tub trolley is used as a coffee table in the sitting area just off the kitchen, and an old French laundry basket serves as an end table. There are four bedrooms in the home. The boy’s initials are literally up in lights in his room, and a rustic wood platform suspends from the ceiling. The girl’s bedroom is the perfect hang-out for a teenager, with chocolate linen TV loungers, lavender silk draperies, and a two-tone eyelash rug. The master bedroom has a wide-plank pecky cedar ceiling, a forged iron bed, and orange silk taffeta draperies. The house also has a study and a large office upstairs, so there is plenty of room for work as well as play. Directions: Take Frederica Road north towards the round-about with Lawrence Road. Travel north on Lawrence Road from the round-about. Turn left into Stillwater. Bear right at the Stillwater round-about. House is on the left at 185 Stillwater Drive. This home is open and livable, perfect for a large family. It was designed by architect John R. Rentz and custom built for the current owners. The home features Mediterranean style features and thematic elements, with dynamic views from every room. The custom furnishings, fabric treatments and accessories were found by interior designer Lori Flanders Cook, in keeping with the owners’ appreciation for exquisite fabrics and the finest details. 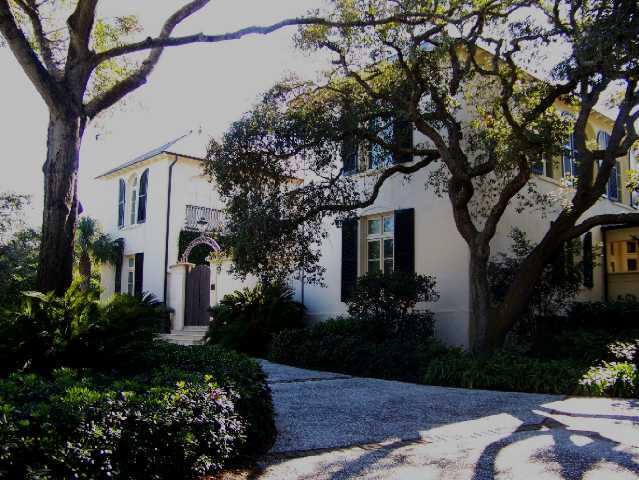 This house is the ultimate in Sea Island living, with plenty of room for family and friends alike. The entrance to the home features a Mediterranean style courtyard, opening into a large living room that looks out to a rear courtyard and pool. The living room is two stories and features a large antique stone mantle, found for the property by the architect. The sunroom off one side of the living room was once an open sun porch, but was enclosed and is now used for family relaxation. The family room off the other side of the living room features two stories of mahogany paneling and leads into the master suite. The master suite is a beautiful, calm retreat, with French doors leading to the rear courtyard. A guest suite is also located on the main floor, and features the ultimate in comfort and privacy for guests. The front stairwell features custom iron work and is surrounded by mahogany paneling. There are four bedrooms upstairs, all with unique furnishings and fabric treatments, and each with its own bath. Some of the bedrooms have built-in closets, and all feature lots of space to accommodate relaxed and happy guests. The rear stairwell leads back downstairs to the large, family-style kitchen. The kitchen cabinets are distressed and the counters are of black granite. The kitchen was designed for both cooking and entertaining, and is perfect for a large gathering of family and friends. A summer kitchen is also found just off the kitchen, and features an outdoor grill. 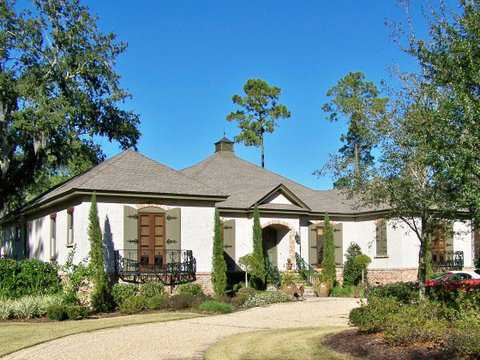 You will love the open flow of this home and the attention to fine detail. 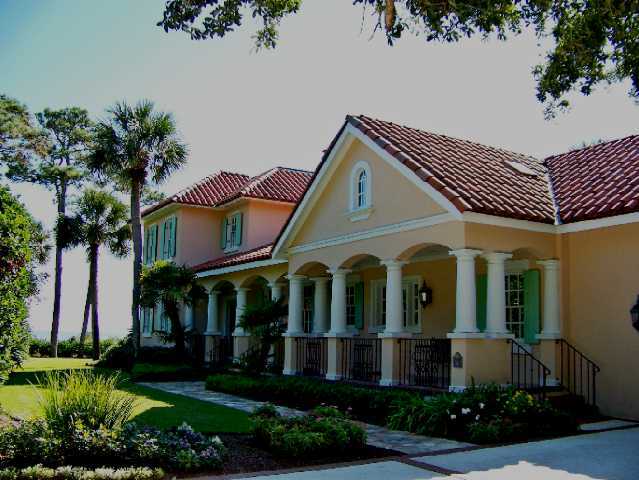 It is a home for entertaining and relaxation, in the best Sea Island style. This ocean-front cottage is a European style refuge, full of history and enjoyed by a large family as a vacation retreat. The house was built in 1929 as a second home for Judge and Mrs. Shepard Bryan of Atlanta. It was enjoyed by four generations of the Judge’s family over the course of fifty years. The parents of the current owners bought the home in 1989 and it has served as a family vacation home since that time. The family of the current owner extensively renovated the home between 1989 and 1991, with the assistance of Dottie Travis, interior designer of Atlanta, and architect Alex Roush. The garage and side porch were added at that time, and the interiors were converted to a light and airy attitude, in keeping with the family and their use of the home. The home was further renovated in 2007, with the help of local interior designer Mary Bryan Peyer, great-granddaughter of the original owner. The house is now enjoyed as a vacation home by a family of seven children and twenty-four grandchildren. It features six bedrooms and four baths, and is furnished with 18th century country French antiques. The paint colors and fabrics used throughout are bright and cheerful, and lots of windows and porches bring in the ocean view. A special focal point, not to be missed, is a large watercolor on canvas that hangs over the fireplace in the living room. The children of the late family matriarch commissioned this painting to portray some of the things special in the life of their mother and it was painted in 1990 by artist Jeannine Hough, now of Aspen, Colorado. Some of the special features of the home include original antique pine flooring, enclosed porches, skylights, majolica ceramics, and stunning ocean views. This elegant yet comfortable family retreat is a cherished piece of family history, still enjoyed by a new generation who appreciates its past. Enjoy beautiful views of the grounds and terraces from every room in this renovated cottage. The home was built in the 1960s by a protégé of Frank Lloyd Wright in the contemporary style of that era. It has been lovingly renovated in the Mediterranean style by its current owners, with the help of local architect John R. Rentz, builder Terry Hagin, and landscape architect Mark Owens. Many of the original architectural details were preserved, and the home has been updated and expanded in a way that honors its past and takes full advantage of its incredible location. You will enter the home through antique front doors purchased in Italy. The main living rooms feature heart pine floors, a stone fireplace, and a wonderfully open and spacious floor plan with views of both the front and rear grounds. The house was originally built around a tree that once stood where the dining room table now sits. When the tree died, new dining and sun rooms were added and that renovation opened up the house and helped to capitalize on all the views. The master bedroom and bath are off the main living area of the home, as is the gentleman’s study. These rooms, like all the rooms in the house, feature fantastic views of the yard and total privacy. A curved room featuring a bar and original, custom painting on the walls and archway will lead you between the dining room and the kitchen. The painting in the bar and kitchen was done by artist Sally Strong. Local artist Djuna Dirlam painted the entry way during the renovation. The bar set into the curved wall was added during the renovation, and this room once served as the dining room for the home. The kitchen was enlarged during the renovation, but most of the tile floor is original. The kitchen island was purchased locally and the new counters are of honed granite. Three bedrooms, each unique and with fantastic views of the yard, are featured in the wing off the kitchen. The bedrooms are all original to the home, but were enlarged or modified during the renovation. There is also a study in this portion of the home, and don’t miss the wall of pictures recalling visitors to this beautiful Sea Island home.